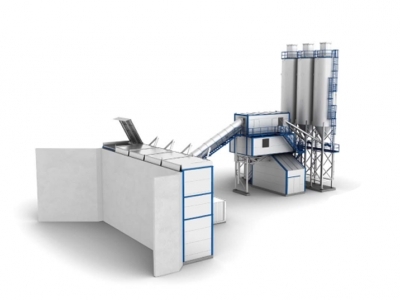 Modular Kamet® Conmix concrete mixing plants have been developed to meet the medium and large-scale production specifications for ready-mixed concrete and for the concrete used by the precast industry. In addition to having a long lifespan, the plants are highly reliable in all conditions. They are quick in production and easy to use and maintain. Special attention has been paid in the design to durability, ease of use, economical maintenance, and high adaptability. Thanks to modularity, the plant can be extended cost-efficiently during use with Kamet® accessories. Ready-to-use modules are constructed and tested at Steel- Kamet Oy’s factories based on orders received. At the construction site, the modules are assembled with installation parts that are quick to use. The plants are very compact, which makes their transportation, installation, start-up, and relocation easy and cost-efficient.